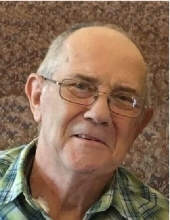 Phillip Wayne Ginn, 70, of Garrison, passed away Monday, September 10, 2018, at Ohio State University Medical Center in Columbus, Ohio. He was born September 23, 1947, in Lewis County, a son of the late Hubert and Olive Pruitt Ginn. Phillip was a member of Garrison First Christian Church. He enjoyed going to church, walking, fishing, going to car races, watching wrestling and spending time with his family and friends. Phillip is survived by his wife of 24 years, Jean Waughtel Ginn; two sons and one daughter-in-law, Christopher and Brenda Ginn of Morehead, and Braden Gardner of Lucasville, Ohio; three daughters and one son-in-law, Andrea Dawn Johnson of Garrison, Angela Bradley of Cincinnati, Ohio, and Valerie and Den Hettinger of Lucasville, Ohio; 11 grandchildren; four great-grandchildren; one brother and sister-in-law, Glen and Patsy Ginn of Vanceburg; two sisters and brothers-in-law, Patty and Roger Cooper of Garrison, and Lisa and Rob Kennard of Vanceburg. He also leaves many other family members and friends who will sadly miss him. In addition to his parents, he was preceded in death by one grandson, Derek Hettinger; one brother, Larry Dean Ginn; and one sister, Linda Kay Ginn. Services will be at 11:00 a.m. Friday, September 14, 2018, at Globe Family Funeral Chapel in Garrison with Dr. Charlie Brown officiating. Burial will follow in Lewis County Memory Gardens. Friends may visit from 6:00 p.m until 9:00 p.m. Thursday, September 13, 2018, and after 9:00 a.m. Friday at Globe Family Funeral Chapel, 103 Dudley Avenue at Garrison.